The North Korea and South Korea WOC (World Officers Congress) members are making a comeback, and the members seem to subdue the king. 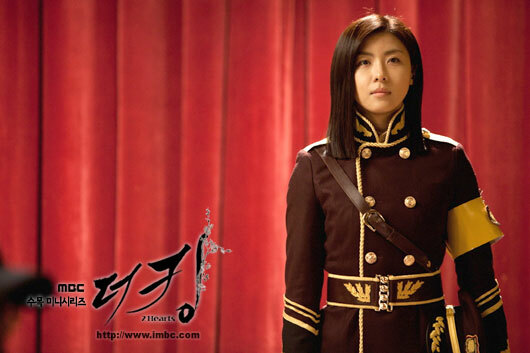 It’s reported that the WOC members will return in plot of episode 13 of “The King 2 Hearts” broadcast on May 2nd, 2012. Lee Seung Gi, the May 2 WOC plot. Lee Seung Gi, Jang Man Shik, Kwon Hyun Sang and Choi Kwon came to filming venue at Chuncheon, Gangwan-do, on April 24th, 2012 to shoot the scene of their gathering. The scene depicts the three persons had a pillow fight with Lee Seung Gi when meeting with Lee Seung Gi, and they even discussed what action should they take, provoking laughter. Then, they decided to pleasantly surprise “attack” him, pressing him to the ground and then make Lee Seung Gi itch. In the real life, the trio has a close friendship, and many staffs have also witnessed that the four persons always joke and chit chat on the scene. The lively and humorous actions of the gang of four in the production team also help and lead the atmosphere while shooting. The scene is shown in episode 13 broadcast on May 2nd, 2012.